was once told that a teacher gives you the basic technique and the rest is up to you. There are no silver platters in the martial world laden with every bit of information you will ever need to know. You work for it. Oftentimes, you struggle – by yourself – just to grasp the fundamentals. The throws of your Jiu Jitsu teacher may seem like magic to you. They’re so effortless, so beyond the realm of mere technical prowess, as though the tori and the uke were destined to meet one day in this circle of throwing and falling. His osoto gari (outer reaping throw) cuts down and in behind the uke’s leg. The uke’s body rises and turns in the air as though predestined, eons ago. As he was meant to, the uke falls lightly, effortlessly, blending with the mat. The throw and the fall are symbiotic. One depends upon the other. During the best moments of Judo and Jiu Jitsu. no one fails. The roles of both uke and tori remain steadfastly important. A knife slices through the air and an Aikido-ka turns and blends with the attack. At once, her movement is one of deep sophistication and deep simplicity. The attacker leaves the rhythm of his attack and enters into the swirl of the Aikido-ka’s defense. They blend in motion. 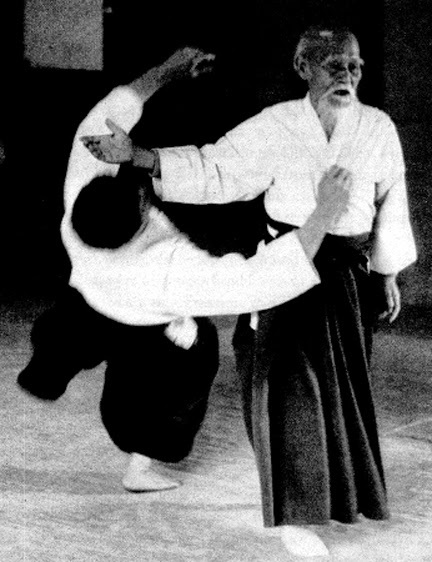 During practise, the attacker trusts where the Aikido-ka is taking him. He must. He’s already inside the spiral – and there is no turning back. So much happens in just a few seconds. The attacker must let go, he must be at peace with himself. He must fall…egolessly. During the fall, if his body is swollen with ego, he’ll crash heavily on the mat. The Aikido-ka also has to remain egoless in order to sense the attacker’s being and redirect it toward a graceful conclusion. No ego barrier can come between her and the signals the attacker sends out. The Aikido-ka places her trust in her hara and her fullness of being. (This was the genius of the founder of Aikido, Morihei Ueshiba – to redirect extreme savagery, allowing it to spiral and fall into peace, leaving the attacker unhurt). How can a martial arts teacher explaining every minute detail of osoto-gari at the same time give you all the emotions, the failures and successes or your personal experiences that may run across decades using the same technique? It’s impossible. In Kung Fu, I might have asked a question here and there over the span of several lessons. You were taught and perhaps if you were lucky, an application was shown. You were expected to do the rest. If you trained, you evolved. If you didn’t train, you stopped learning. In some old school Dojo, the student doesn’t ask, in fact he doesn’t say a word. He follows. In Tai Chi, I just followed. There were no explanations. The miracle occurred when the sound of my own voice was no longer allowed to get in the way. For the first time, I managed to listen…to the life beat of the martial art as our group moved from one technique to the next, to my breathing, to the blood running through my body, to the noises from the street outside. What a precious thing it was for me to find out that the art was talking to me. Slowly, Tai Chi began to reveal itself, to teach me. 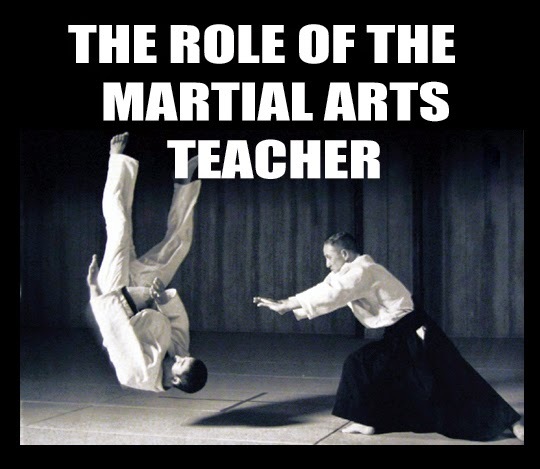 Then only did the teacher begin to make the odd correction, as a teacher does in any highly traditional martial art. The martial arts aren’t condensed into a high school textbook with the answers at the back. The teacher doesn’t take you from A to Z in time for your exams. The teacher points the way to the language of the art. Your fluency is your priority, not the teacher’s. Train, long and hard, experience the culture of the art and remain humble so you can grow inside the art. One day your teacher will smile at you and you realize that you’re both speaking the same language and that you arrived at it the way he did, soundly and honestly.